Do I need lots of reasons to love rugosa roses? Of course the flowers in spring and summer are just lovely. 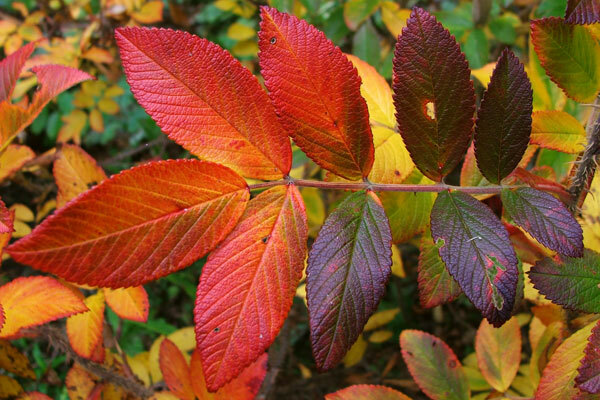 But then I remember the wonderful autumn leaf colour, and the red rose hips which brighten my garden throughout the winter. 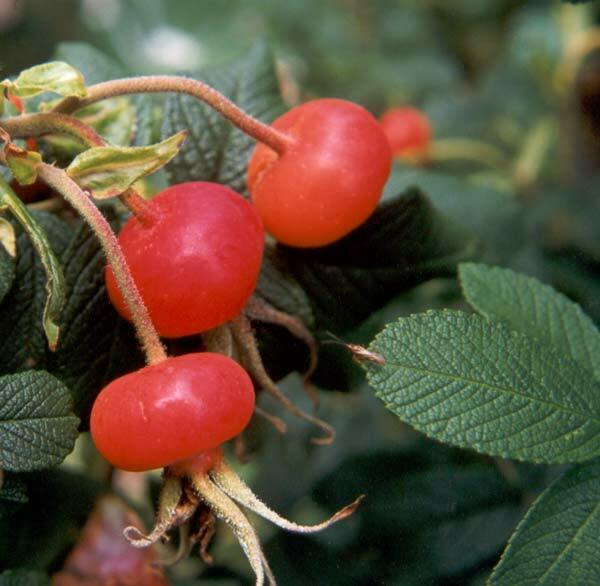 This beautiful close-up of rose hips was taken by my webmaster son when he lived at Mooseys. That's ages ago! I think the rose they belong to is the rugosa Frau Dagmar Hastrup. There's still a large group of rugosa roses alive and well in the Hen House Gardens, and these two pictures celebrate their non-flowery beauty. Enjoy!